In this file photo, Actress Abigail Breslin attends the 68th Annual Directors Guild Of America Awards at the Hyatt Regency Century Plaza on February 6, 2016 in Los Angeles, California. 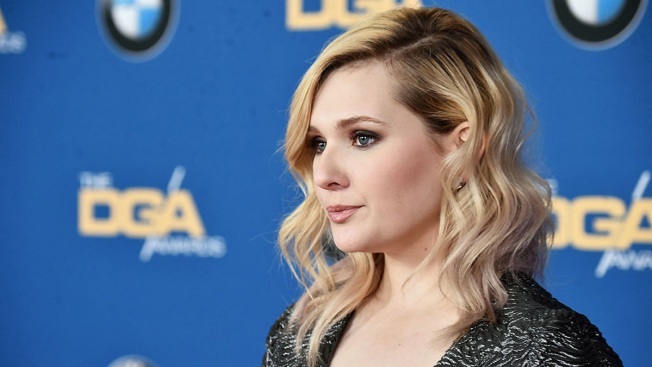 Actress Abigail Breslin is opening up about why she didn't report being raped by someone she was in a relationship with. Breslin says in an Instagram post that she "was in complete shock and total denial." She says she didn't want to view herself as a "victim," so she pretended it never happened. She adds that she was in a relationship with the person who raped her and she "feared not being believed." The 21-year-old responded to one commenter by revealing that she was diagnosed with post-traumatic stress disorder a year and a half ago. She says she's made progress but still struggles. Breslin stars in ABC's upcoming musical remake of "Dirty Dancing" next month.